My contact with Europe has been between France and Italy, so three years ago I decided to go to Poland to make an internship. Country that had a good reputation with Erasmus supposedly had a good level of English to practice. But one reason for moving there was the challenge of living in a location with temperatures below zero and supporting the lack of light. This last is not uncommon counting in my city in winter dusk 3 hours later than in Poland. 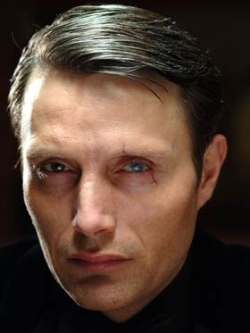 Well, until then, I thought a little more dominated Europe until I met Mads Mikkelsen. A tall, dark and with an exotic command of English language. I tried to do some research on it and I was surprised that he was Danish. DENMARK !! Northern Germany … no? but they were blond, barbarians and have the Ikea. NOOOOOOOOOOOOOOOOOOOOO !! Ikea is Swedish !! and with globalization there is much mixing … because nothing was going my ignorance diluted as it was seeing his works and knowing the culture and Danish history.